With what started as a "It's a really good body" to having to replace panels once blasted, got this project started! The new chassis with a Heidts rear independent suspension, a Riley Motorsports front independent suspension with upgraded Baer brakes have this Cuda with a ride envied by many. A Viper V10 will be the powerplant to get this baby down the road. 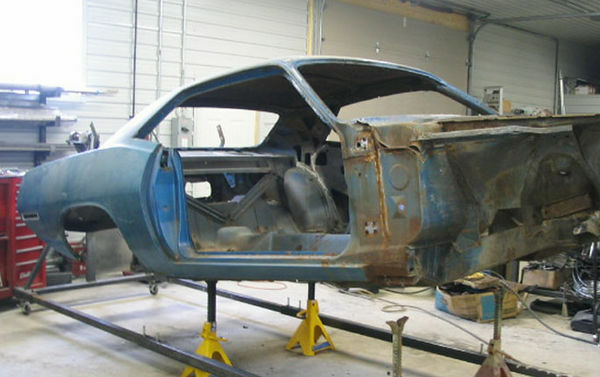 New floors, quarter work and more, got this Cuda ready for paint. After a couple months out at paint, the Cuda is back, it's assembled and ready to cruise!